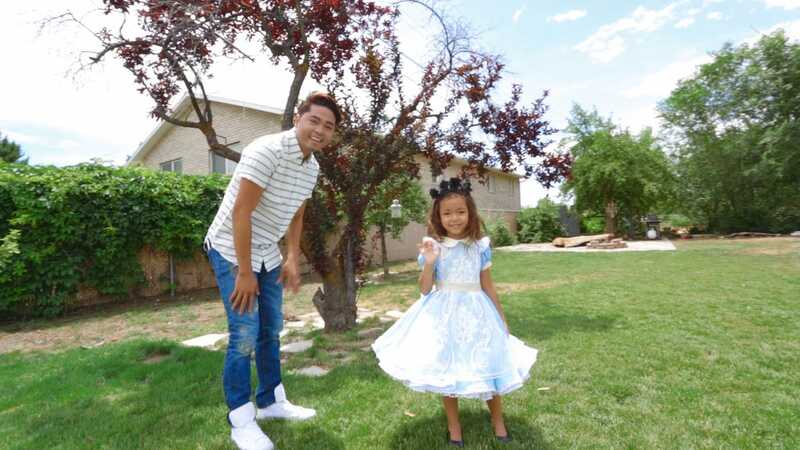 INSIDERNephi Garcia with his daughter. Nephi Garcia just might be the father of the year. 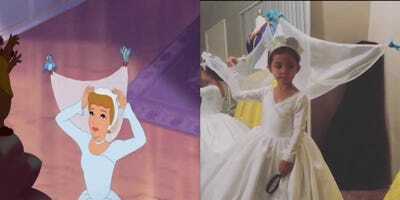 The designer makes the most adorable Disney-inspired costumes for his children, and after INSIDER published a video about his work, they’re taking the internet by storm. Garcia, who goes by “The Designer Daddy,” is a professional couture designer by trade. But about a year and a half ago, he started creating whimsical, Disney-inspired costumes for his three children, and later began making adult costumes for himself and his wife. Now, the Orange County, Calif.-based designer has turned his hobby into a business, with people from across the country commissioning classic Disney looks of their own for birthdays, performances, and even trips to Disney theme parks. The business doubles as an excuse to bond with his family. Garcia’s costumes are made on a custom basis, and start at $500 for children’s styles and $1,000 for adult outfits. His ode to “Beauty and the Beast” is particularly cool. The costume turns from a simple smock into a golden ball gown, and Garcia says it took him three days to figure out how to make the dress transform. Garcia’s wife Bethanie came up with the idea to make the dress reversible. “I took the challenge. It was pretty difficult. But we believe in our family that we can always figure it out,” Garcia told INSIDER. For his “Cinderella” dress, bluebirds appear to hold up the veil, just like in the movie.